The printing industry is one of the oldest mechanized trades in history. 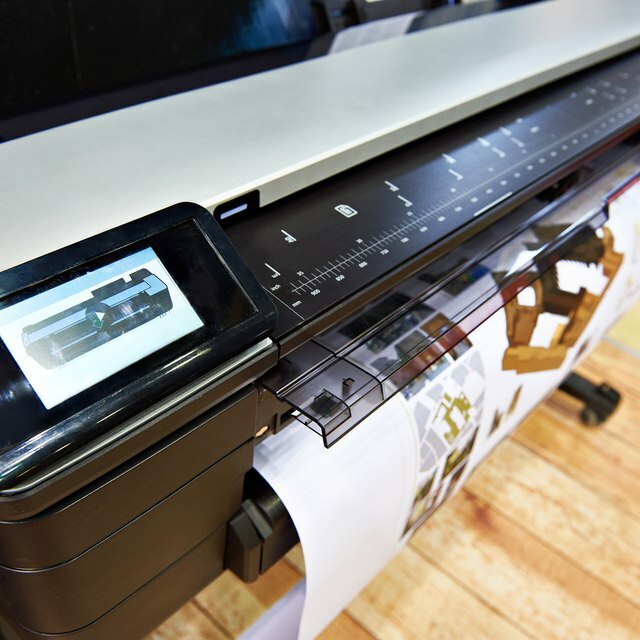 Printing has a 600-year history of developing standards for production, quality, deadlines and customer satisfaction. The objective of these standards is that customers in any location ordering any sort of printed material can expect the same standards of performance from their print shops. Ideally, the same standards apply to printing 500 business cards as 50,000 500-page multicolor annual reports. Knowing the standards is a good way to know what to expect when dealing with a printer or printing facility. Production standards in the printing industry generally consist of applying the most capable and comprehensive printing device to achieve the highest level of quality at the most reasonable price. “Reasonable” does not necessarily mean “inexpensive.” The important thing is to strike a balance between quality and expense that will satisfy the customer. A printer, for example should not try to sell a customer on a less-than-ideal option when the superior choice is unavailable for maintenance or because of a long-term printing job. A printer should not misrepresent comparative costs among printing options. A printer who follows industry standards makes the right choice for the customer. Printing quality is measured by several standards. The most sought-after standard is image quality. The printing material must look good. Not only must the image be of superior quality, but the quality must be consistent throughout a run of 10, 100 or 10,000 copies. Color quality is also an industry standard determined by measurable parameters such as density, hue, contrast and matching pre-existing color samples. Even simple black-ink printing must meet image standards. Black should be black, not various shades of gray. Most printing is produced on certain production and delivery schedules. A printing facility that is always late is not meeting industry standards. By the same token, a facility that’s always early meeting production deadlines may not be making the most productive and profitable use of available time and staff. In the end, it’s all about what the customer will accept. Combining production, quality and deadline standards to produce a print order is the most comprehensive means of meeting customer expectations. If, however, the order fails to satisfy the customer, remedies ranging from reprints to discounts to negotiated costs for more work meet acceptable standards for customer satisfaction. The federal Occupational Safety and Health Administration defines workplace safety standards for the printing industry. Adherence to OSHA standards is enforced through on-site inspections and voluntary compliance. The printing industry uses standard terminology to maintain consistency from one print facility to another. Some examples are proof (typography layouts available for customer review and approval), registration (how colors line up consistently), millage (all inks, solvents and chemistry needed to operate various machines) and stock (all paper, cards and other substrates used on the press).